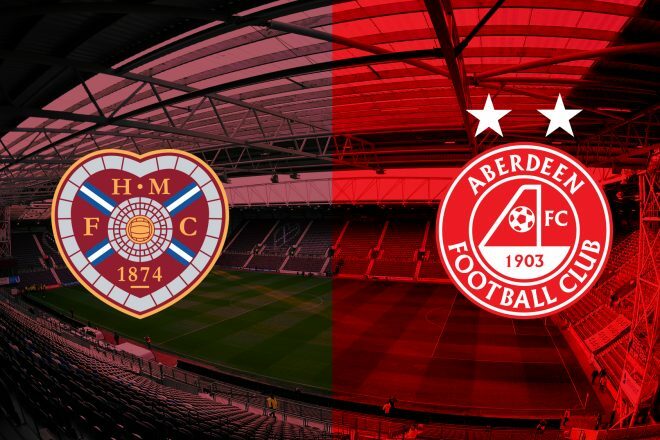 Aberdeen return to action this weekend as they travel to Edinburgh to face Hearts at Tynecastle. With only eight league games remaining Derek McInnes’s side sit in third place, but it’s close with only five points separating the teams. Kilmarnock are also well in the mix and lie a point adrift off The Dons in fourth place. The international break allowed the opportunity for the players to recharge their batteries and now they can focus on finishing the season strongly. On Friday morning Derek McInnes and Niall McGinn spoke with the media before departing for the capital. “It is always an intimidating but great atmosphere and a good place to go. Even in the warm up you feel the atmosphere. The Aberdeen fans are always really good at this venue. “When you see the fixtures come out at the start of the season, it is a game you look out for and it is a game you want to be involved in. Ove the years we have had some very good results down there, mixed in with some not so good results. Hearts always pose a difficult challenge and it will certainly be that way on Saturday. They beat us down there earlier in the season but we then beat them at home. “It is a very difficult game and starts off a really busy and important period for the club leading into the semi-final. If we could get a result on Saturday it would give us a big boost. Hopefully we can keep our away form going. 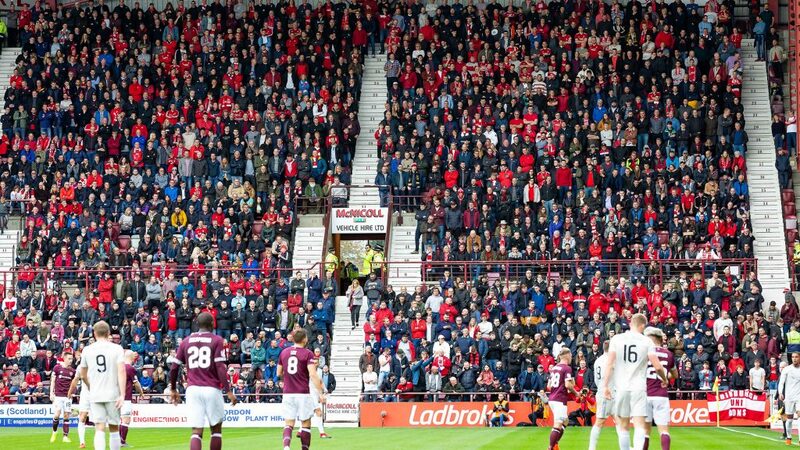 Saturday will be the 135th meeting in Edinburgh between Aberdeen and Hearts and it’s the Jambos who hold the better record with 64 wins compared to the Reds 31. Saturday’s hosts have been strong in this fixture and The Dons will be looking for a first win in four in Gorgie. The overall record both home and away reads Hearts on top with 107 league wins against Aberdeen’s 92. The biggest Aberdeen win at Tynecastle came back in 1992 when Eoin Jess’s double either side of goals from Scott Booth and Paul Mason secured a 4-0 win. Derek McInnes has brought his team to Edinburgh to face Hearts nine times on league duty and once in the Scottish Cup. Under his tenure they have left with all three points three times with two draws and four defeats. There was an excellent Tynecastle double in 2016/17, firstly in December when Jonny Hayes goal was the difference in a 1-0 win. Then in front of the old main stand for the final time, a 2-1 win all but secured second spot for The Dons in the final weeks of the campaign. Back in October The Dons faced a Hearts side who were flying high at the top of the table after an excellent start to the campaign. An afternoon of high drama unfolded with Hearts dominating the early proceedings. They took the lead through the head of Arnaud Djoum on 36 minutes after The Dons were caught napping at a free kick. Then a moment of real controversy before the break when Naismith was adjudged to have been fouled in the area by Ferguson and the referee awarded a penalty, much to the anger of the Aberdeen players. Naismith took it and scored to double the lead. 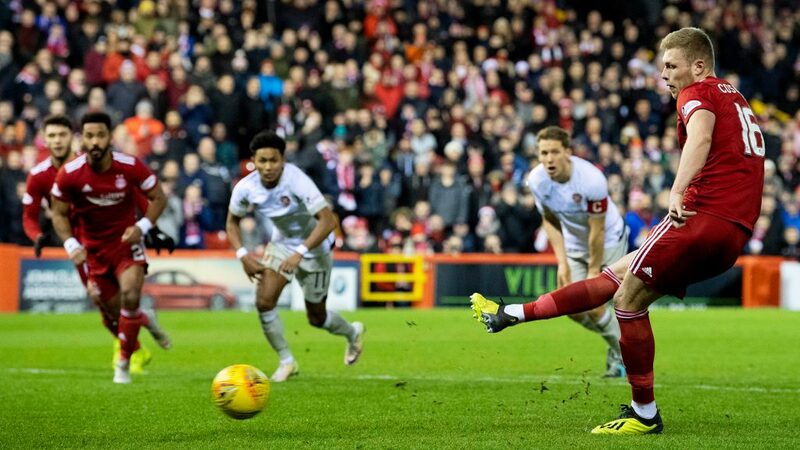 The Dons were able to get themselves back into the game in the second half through a penalty of their own, which Gary Mackay-Steven dispatched to give hope. Then remarkably a third penalty was awarded, the second for the hosts, but Joe Lewis brilliantly dived to his left to deny Naismith, which gave Aberdeen hope. They ultimately ran out of time and left empty handed despite ending the game strongly. When Hearts came to Pittodrie before Christmas The Dons were in the middle of a very good run which catapulted them up the table which had coincided with Sam Cosgrove’s hot streak. Sam scored two of his seven December goals that afternoon, the first which came after less than a minute on the clock. Stevie May did well on the left and floated a cross into the area, which Cosgrove dispatched into the net with a brilliant header. Despite dominating Hearts for large spells the men in red had to wait until the 70th minute to kill off the match. A fourth penalty of the season for the fixture was awarded when McKenna was pulled down by Berra. Sam confidently stepped up and fired home to deliver three points and an early Christmas present for the Red Army. If you are heading to the game please read our important travel and stadium information here. Another large following from Red Army will descend on the capital this weekend with the away end sold out in advance. Thank you for the fantastic support! Aberdeen’s impressive away record came to an end after a game of two halves in Edinburgh. Aberdeen made two changes for the trip to Edinburgh with Andrew Considine replacing Michael Devlin and Greg Stewart coming in for Stevie May. It was very pleasant afternoon weather wise in the capital as the Dons tried to maintain their fantastic away record. The visitors forced a deep throw-in in the opening minutes but wasted it by Shinnie putting it too long. A pre-planned move that never quite worked. In the 8th minute a Cosgrove flick-on was picked up by McGinn but his curling cross found McLennan who was offside. Then a minute later a superb cross field ball on the half way line from Lowe very nearly found McLennan. It would have done if the striker had not checked his run. Aberdeen had made a strong start and were doing a good job of targeting the wing back areas. Hearts were playing with a back three. In fact there were a number of occasions in the first half when the visitors might have done better after getting in behind in the wide areas. On 10 minutes Uche Ikpeazu showed his strength to hold off his marker but his low shot was straight at Lewis. The big striker was already having a real battle with McKenna. After 14 minutes McLennan won the first corner of the afternoon down the right. It was cleared but the same player won a second a minutes later. The ball in was headed off the bar by Cosgrove who got up brilliantly and McLennan was the first to react. His header bounced down but away from the keeper and into the net. Aberdeen had been rewarded for their fine start. Straight after the restart Cosgrove was booked for a foul on Peter Haring. The home fans were far from happy at the start their team had made. Scott McKenna on 20 minutes made an excellent clearance inside the six yard box after Jake Mulraney had beaten Dom Ball down the wing. Hearts then raised the tempo of the game but Aberdeen were matching the aggression. On 24 minutes Graeme Shinnie, who looked well up for this, had a low shot from 20 yards which just went past the post of Zlamal. Shinnie and Ferguson dominated the midfield area in the first half. Joe Lewis and behind for a goal kick. A real waste of an opportunity. On 38 minutes Shinnie tried to play a low through ball for Cosgrove who had read the pass from the captain but it was just a little too strong. Two minutes later McGinn did really well to track the run of left wing back Jamie Brandon. The same Hearts player had space for a cross a minute later when Aberdeen had lost out on two tackles but his ball in went past everyone. On 41 minutes a quick break by Aberdeen led to McLennan cross for Cosgrove and his header had to be tipped over by the keeper. Just for a second it looked like it might have looped in. It was a good move from Aberdeen. From the resulting corner the ref blew for a foul. McLennan then won a second corner in quick session. It was worked short and although Aberdeen were driven back the ball fortuitously fell at the feet of Shinnie and his left footed pile driver had to dealt with by Zlamal. Aberdeen then wasted a couple of really good crossing opportunities before the half time interval. Both McGinn and McLennan should have done better. Connor Mclennan at the start of the second half had a lovely run but Sam Cosgrove got in his way and was offside. The home fans were growing impatient, even more so when out of nothing on 49 minutes they wasted a golden opportunity to equalise. A long ball bounced on the edge of the area. Joe Lewis had come all the way to collect and looked to have been fouled but play continued and Ikpeazu put the ball wide of the empty net. From the reaction of the referee the goal would have stood. 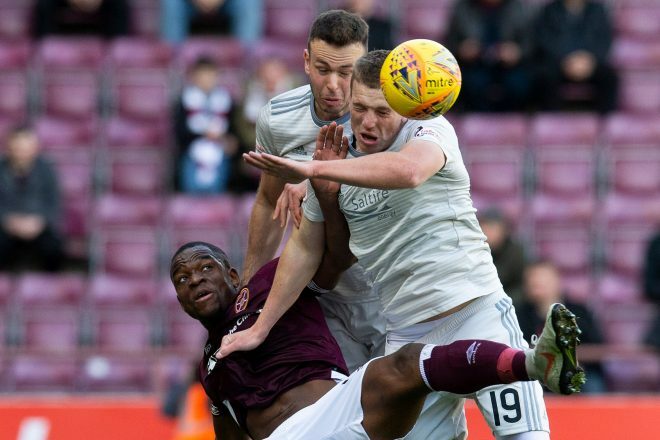 Hearts had given up trying to play through Aberdeen and were just going route one – but it was effective and Aberdeen were struggling to cope. Hearts then enjoyed a good spell of pressure which got the crowd back on side slightly. The Dons were caught sleeping which allowed Haring the chance to collect the ball inside the area. The centre half put over the best cross of the game so far, low right across the area but lucky for the Dons no one was there to convert. Then Ball and Considine went for the same ball and all they did was flick it on to Wighton. Again though, a lack of quality inside the area allowed the Dons to survive. The exact same could be said when McLennan made an excellent tackle and then raced in on goal but his ball to Stewart was just too strong. He probably could have kept going himself which would have at least forced the keeper into a save. A wasted opportunity. Then on the hour mark Hearts were level. Mulraney was able to run from deep and as the defence tried to deal with the situation on the edge of the area, after a long run without being tackled, Considine was adjudged to have fouled the Hearts man. There were few protests but on first viewing there seemed very little contact. Sean Clare put Joe the wrong way and the teams were level. It almost got worse. A minute later a slack back pass by McGinn put Lewis in a similar position with Ikpeazu. This time though the referee booked the Hearts man for diving when he went to ground. The Hearts striker then had a shot on the turn which Lewis handled with confidence. Aberdeen had completely controlled the midfield area but by now it was a far more even contest. The wing backs were also pushing right up which was forcing Aberdeen back. On 65 minutes Lewis made an unbelievable save to keep out Wighton. From a deep free kick, the ball was knocked down to Wighton on the six yard box but somehow the big keeper managed to spread himself and keep it out. The Dons really had not got going in the second half. With eighteen minutes to go, McLennan won a free kick in a good area. Stewart’s ball in was just too strong for McKenna who was coming in at the back post. Then Considine was booked for a foul on Ikpeazu. The defence were struggling to get to grips with the big striker. In the first half they had marshalled him well, but in the second period they struggling. From the free kick – in an identical position to the Aberdeen one – Mulraney, yes you guessed it, put the ball straight out of play. There really was a lack of quality from both sides today in the key areas. With fifteen to play, McLennan did show some a nice touch to make room for a shot but his effort just went over the bar. It was close. But Hearts then took the lead. Again a simple ball over the top caused problems and when Considine slipped, Ikpeazu had space and time to compose himself before curling the ball past Lewis. When the game restarted the Hearts striker was substituted after taking a head knock. Aberdeen at the same time replaced Stewart with James Wilson. With ten minutes to go there was a coming together of the players when Ball and Djoum clashed. In the end Ball, Ferguson, Djoum and Souttar were yellow carded. Apart from the two keepers everyone was involved although it was just some pushing and shoving. Five minutes to go, McGinn crossed for Cosgrove but the striker could not get enough on his header. It was the only real chance of a really disappointing second forty-five. A second substitution on 86 minutes, McLennan was replaced by Devlin. 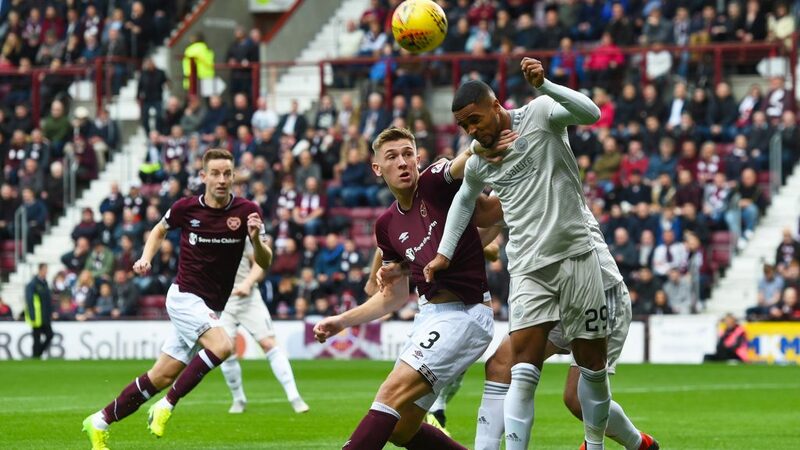 The defender went up front as the Dons played it long, but despite five minutes of added time being played, they failed to create anything of note and Hearts were able to see out the second half very comfortably. A really poor second half performance after Aberdeen had looked in complete control during the first half.